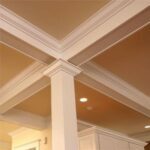 Expert advice about architectural detailing, exterior house columns, trim and molding, materials, styles, and more. Have you ever marveled at the intricate gingerbread of a classic San Francisco Victorian, admired a stately Southern Colonial, or enjoyed the hand-wrought detailing of a Craftsman bungalow? 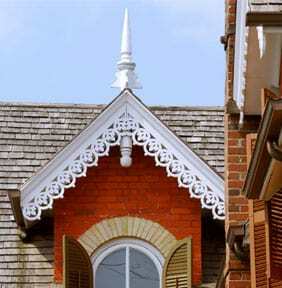 Gingerbread detailing gives this classic home its architectural style. 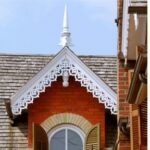 One feature that all outstanding traditional-style homes share is great architectural millwork: the moldings, posts, columns, and other detailing applied to house exteriors. Greek Revival, Colonial, Georgian, Craftsman—these classic house styles as well as several others rely heavily upon columns as key architectural components. In fact, columns have returned to popularity not only for these traditional homes but also for many newer house styles to add visual interest, extend the façade of the house, and support porches. In this section of HomeTips, you will find helpful information about the types of architectural detailing and columns used on houses.